Jim Abrahams' claim to fame is directing Airplane! and Hot Shots! ; you know you're doing something wrong when your movies end with exclamation marks. He also directed Big Business, which is a comedy from a different angle, more a theatrical stage production than a slapstick goof romp like his others. But at least those former two are so ridiculous that they've reached cult status; the same cannot be said for this latter film. It's pure comedy, it features two big stars, I remember it from my late childhood, but I'm almost disappointed that I watched it again, because it barely holds up and is, at most times, barely funny. In a small town deep in the woods of West Virginia, two very different couples rush to the hospital to deliver their babies, and a simple mistake will change the course of their children's lives. The Sheltons are visiting from New York City; they are rich, snooty, and none too happy about having to visit the local hospital. The Ratliffs are natives of the town, have a whole gaggle of kids back home, and couldn't be happier to add more to the family. Coincidentally, both couples have twin girls and both name them Rose and Sadie. But a distracted nurse accidentally switches one of each pair, sending a Ratliff girl to NYC, and keeping a Shelton girl right here in WV. Fast forward through the years and a twist of fate will bring the two pairs of sisters back together again. In New York, Sadie Shelton runs the family business with her sister Rose, and is looking to buy out a company in Jupiter Hollow, West Virginia. 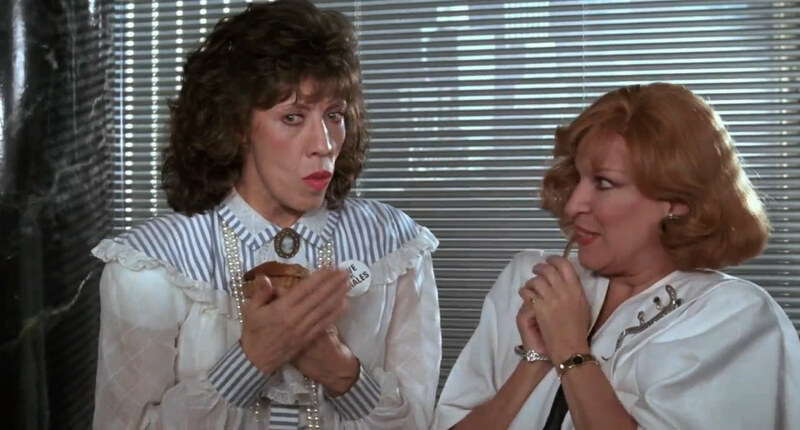 Who advocates for that company, who is against the buyout, is none other than Rose Ratliff with her sister Sadie. The Ratliffs will travel to NYC to confront the Sheltons, not knowing that their biological sister will be there during the meeting. Hilarity, of course, ensues, as the women are confused for one another by literally everyone in the city, and events get so mixed up that there's no telling how the buyout will turn out, or who will go home with who. I remember liking this movie a bit more when I was younger than I did this time around, which I guess is not surprising, considering I was a tween or however old and I was amused by simple misunderstandings. That's the basis for many comedies, and sometimes it works perfectly because the timing is genius, but always it's a bit silly and predictable. Big Business watched like a stage production, with the small town girls coming to the big city and all the mix ups that occur, which doesn't help it be taken seriously by film audiences. My wife, who is from West Virginia, thought it could have been way more insulting to backwoods people, especially given the era in which it came out, so I guess some credit should go to the filmmakers for not "going there". As far the acting is concerned, there were some ups and downs. 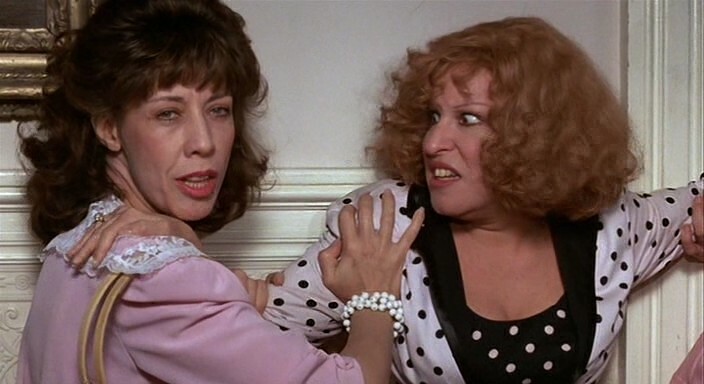 Bette Midler is always over-the-top, Lily Tomlin is a bit slapstick, but they worked well together as both pairs of sisters. 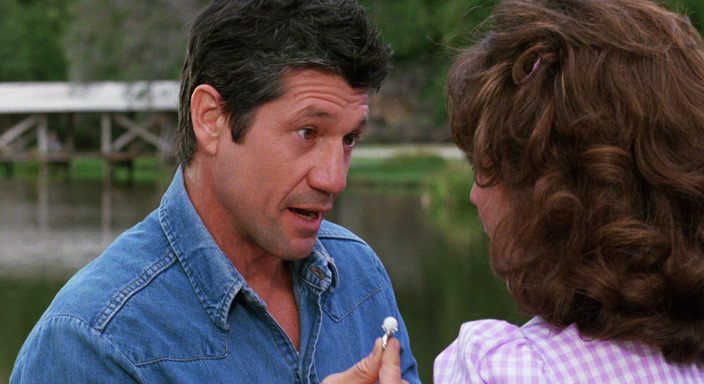 The supporting cast was interesting: Fred Ward, Edward Herrmann, Michael Gross, Joe Grifasi who I remember from Brewster's Millions. 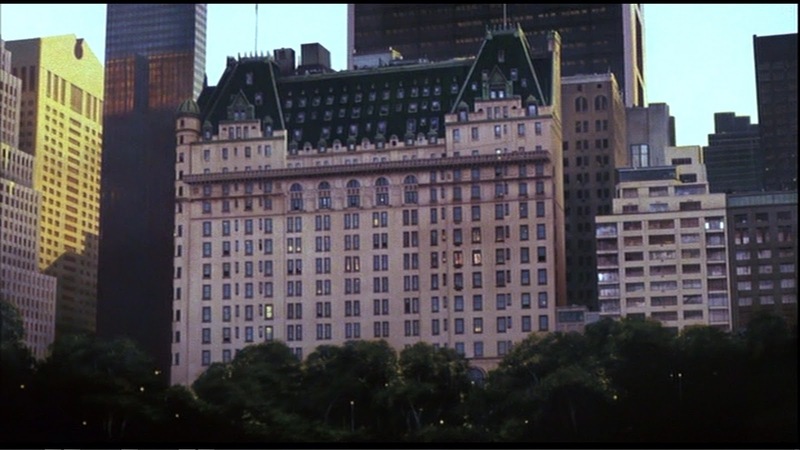 Most of the action takes place in a hotel, with close calls coming out of elevators, women buying the same dresses, their boyfriends confusing which was which; I think you get the drift as soon as you hear the bare bones of the story. It was executed well for having such a low ceiling, but doesn't exactly wow after a second viewing, especially as an adult, especially after 30 years. Video: With an aspect ratio of 1.85:1 (1920x1080p) and shot using a Panaflex Camera (lenses by Panavision), the video quality of the film is poor, but understandably so. It isn't any worse than other movies from the 80s, and the transfer to the Blu-ray is fine. There isn't much cinematography to speak of, you won't notice any incredible shots, so the visuals will never stand out, but they're OK for the era. Audio: The Blu-ray was done in English, with an option or 5.1 or 2.0. Subtitles are available, but only in English. That's it for the audio, and although there is a bit of music throughout, you won't remember what you heard because it won't leave an impression. The audio balance was fine, with no warbling, so the sound holds up, especially considering the age of the film. Extras: The special features are few; Audio Commentary with Director Jim Abrahams and four theatrical trailers. Recommended. If Big Business was a favorite thirty years ago, you might want to leave it in the past. It's a farce comedy based on mistaken identity and convenient timing; like Noises Off, but not quiet as good. 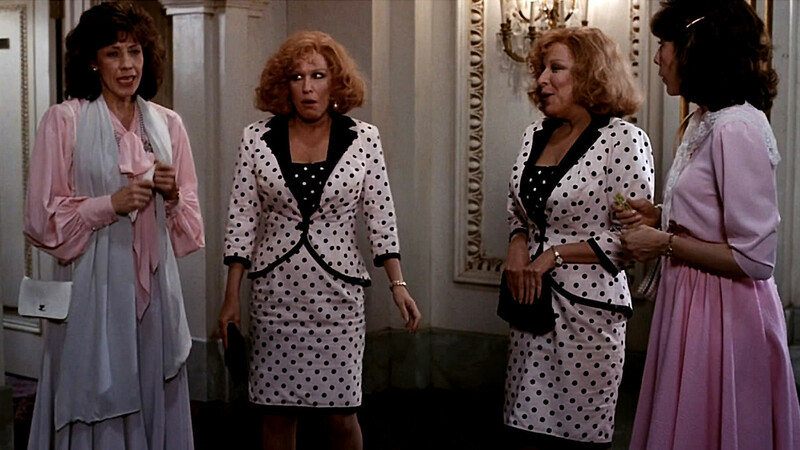 The stars do double duty, which is amusing, but the gag doesn't hold its humor for long, and by the end I was ready for the confusion to be solved so that everyone could go home happy so that I could go to bed. Still, I appreciate what all involved were trying to do, I can remember that it was made in 1988, not 2018, and there are some laughs to be had along the way if you're willing to loosen up the critic's cap a bit. The video is dated, the audio is forgettable, and there aren't many bonus features, so don't look too closely at the technical aspects. But watch relaxedly and enjoy mildly; the movie is worth about that much.